﻿ Titanium Alloy Tubes, Titanium Gr2 Seamless Tubes Exporter. 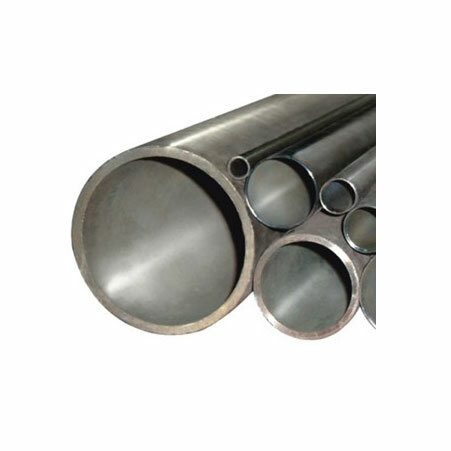 ASTM B861 Titanium Alloy Seamless Tubes, Titanium Tubes Manufacturer, Ti Gr 5 Tubing Exporte, Ti Gr2 Capillary Tubes Supplier. We are a manufacturer, trader, stockist, supplier and exporter of Titanium GR 2 & GR 5 Tubes that are made from Titanium alloys, that have augmented durability, stability and toughness, even at extreme temperatures. 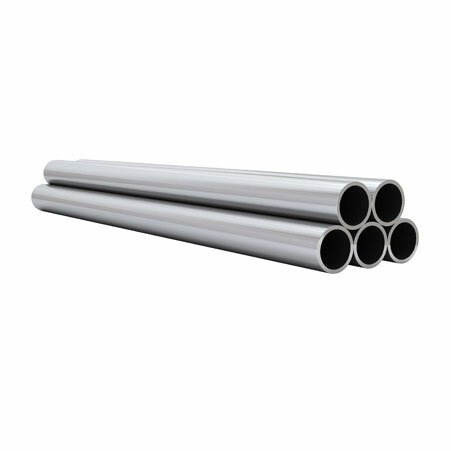 Our Titanium GR 2 Round Tubes have a 345 Mpa tensile strength when annealed; made from commercially pure Titanium, these pipes are soft to bend and form, allowing maximum ductility and a high impact toughness. Whereas our Titanium GR 5 Seamless Tubes are versatile and corrosion resistant, have good fabricability and weldability, with uses in chemical processing plants. 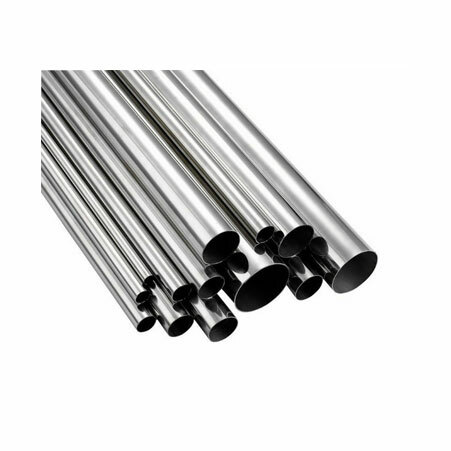 Titanium Gr2 Seamless Tubes Manufacturer, Ti Gr5 Alloy ERW Tubes Exporter, Titanium Gr2 Square Tube, Titanium Alloy Gr5 Round Tubes Supplier. Size : 1mm OD upto 254mm OD in Thickness 0.1 to 20mm. Malaysia, Ireland, Kenya, Australia, Mexico, Russia, Netherlands, Colombia, Qatar, Gambia, Saudi Arabia, Poland, Iraq, Mexico, Nigeria, Romania, Argentina, Lithuania, Denmark, Norway, Greece, United Kingdom, Iran, Bolivia, Taiwan, Tibet, Libya, Oman, Turkey, Morocco, New Zealand, Estonia, Kazakhstan, Azerbaijan, Austria, Israel, Sweden, Jordan, Japan, France, Yemen, Bulgaria, Lebanon, Afghanistan, Kuwait, Peru, Ukraine, Puerto Rico, Germany, India, Nepal, United Arab Emirates, Egypt, Finland, Venezuela, Chile, Philippines, Angola, Nigeria, Vietnam, Czech Republic, Mongolia, Brazil, Canada, Croatia, Italy, China, Zimbabwe, Namibia, Serbia, Thailand, Bangladesh, Costa Rica, South Korea, Macau, United States, Bhutan, Switzerland, Belgium, Gabon, Chile, Belarus, Poland, Portugal, Hungary, Ecuador, South Africa, Ghana, Spain, Pakistan, Algeria, Sri Lanka, Iran, Trinidad & Tobago,Tunisia, Indonesia, Slovakia, Bahrain, Hong Kong, Singapore. Madrid, Vadodara, Secunderabad, Nagpur, Pune, Houston, Colombo, Thiruvananthapuram, Noida, Istanbul, Edmonton, Dubai, Algiers, New Delhi, Ulsan, Abu Dhabi, Kanpur, Hanoi, Busan, London, Moscow, Pimpri-Chinchwad, Thane, Lagos, Surat, Riyadh, Chiyoda, Visakhapatnam, Ankara, Dallas, Ahmedabad, Bogota, Cairo, Chandigarh, Montreal, Manama, Singapore, Aberdeen, Sydney, Al Khobar, Jamshedpur, Jeddah, Petaling Jaya, Granada, Sharjah, Calgary, Karachi, La Victoria, Muscat, Al Jubail, Toronto, Mumbai, Melbourne, Hyderabad, Vung Tau, Courbevoie, Indore, Lahore, Kuwait City, Brisbane, Gimhae-si, Hong Kong, Dammam, Bangkok, Milan, Santiago, Bhopal, Haryana, Tehran, Faridabad, Coimbatore, Howrah, Navi Mumbai, Kuala Lumpur, Bengaluru, Mexico City, Nashik, Atyrau, Ludhiana, Jaipur, Los Angeles, Perth, Baroda, Seoul, Ernakulam, Ho Chi Minh City, Geoje-si, Ranchi, Rio de Janeiro, New York, Ahvaz, Chennai, Jakarta, Kolkata, Port-of-Spain, Doha, Caracas, Rajkot, Gurgaon.